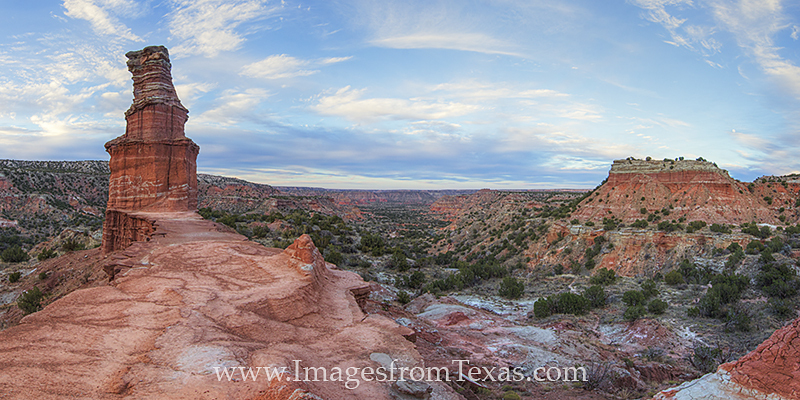 This panorama from the Lighthouse at Palo Duro Canyon State Park is a three image stitch taken a little before sunset. The last light of day was beginning to light up the red rocks and the canyon in the distance. This awe-inspiring view is only a 3 mile walk down a very nice trail. I stayed here until dark and enjoyed every minute of this beautiful Texas landscape. Photo © copyright by Rob Greebon.